In the market for a new Android smartphone? Then great news, the Honor 6 has received a pretty hefty price cut. Previously priced at RM1,059, it is now retailing at only RM899. The new price will take into effect tomorrow on the 4th of June at 3:08PM. 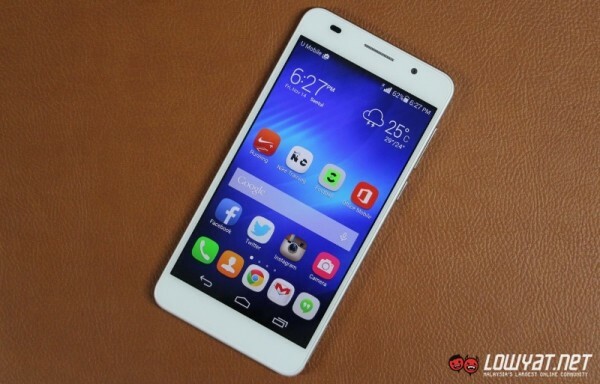 As a flagship device – albeit not the latest one – the Honor 6 is pretty well-equipped. It has a 5-inch 1920 x 1080 IPS display, a HiSilicon Kirin 920 octa-core processor with 3GB of RAM, 16GB of internal storage which can be expanded with a microSD card up to 32GB, and 13MP rear and 5MP front cameras. It also has an adequate 3,100mAh battery and Emotion UI based on Android 4.4 KitKat out of the box. While it’s not exactly the latest flagship, the Honor 6 offers plenty value for money based on its specification. Even when it was priced at RM999 (before the implementation of GST), it was one of the best Android smartphone for consumers who are on a tight budget. With a new retail price of RM899, it will be a really attractive smartphone for budget-conscious consumers. The Honor 6’s new retail price will go into effect tomorrow at 3:08PM on Vmall.my. Interestingly, the first buyer who complete his or her order will receive the smartphone for free. If you’d like to learn more about the Honor 6, check out our review of it.